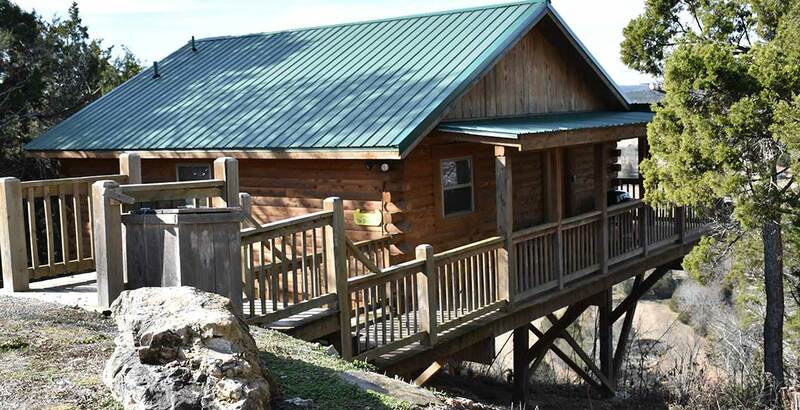 The Bear's Den - Custom built luxury cabin for two, featuring all the luxuries of a great getaway. 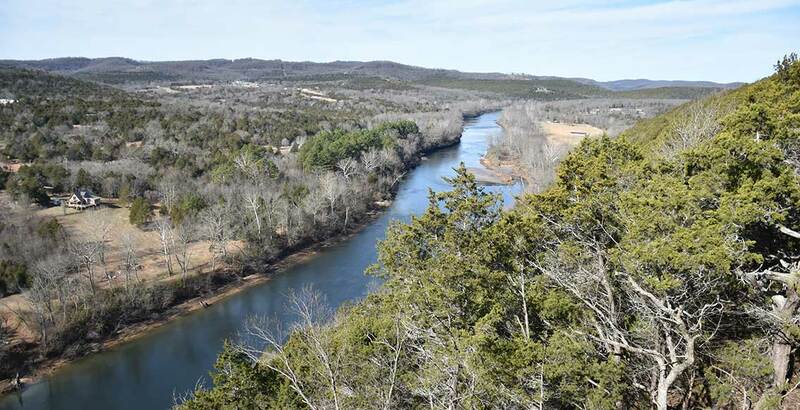 Local native cedar log cabins located on the top of a bluff 450 feet over the valley floor provide an incredible view of the White River, Inspiration Valley and the rolling Ozarks. The king bedroom has a custom built King Size Bed with a down mattress topper. 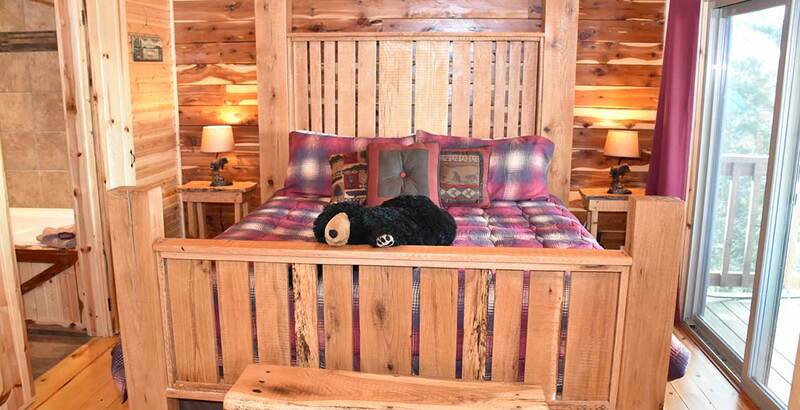 The custom built wall is a 8 foot sliding barn door that can be closed for privacy or opens into the living room to enjoy television and the beautiful wood burning fireplace. 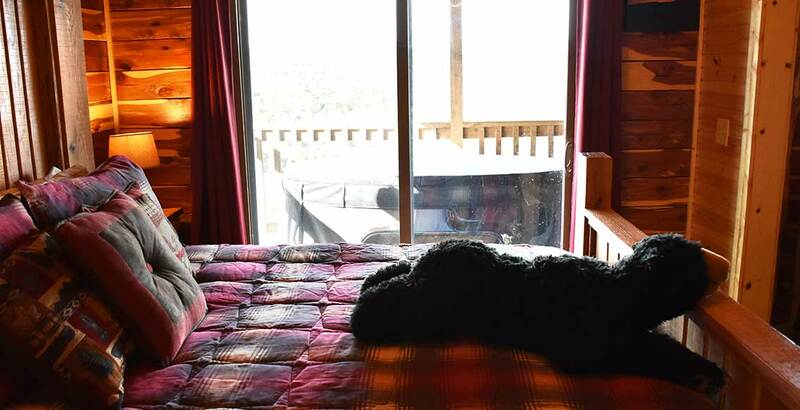 The bedroom has double glass sliding door opening on the deck and hot tub and great view. Enjoy the star lit nights. 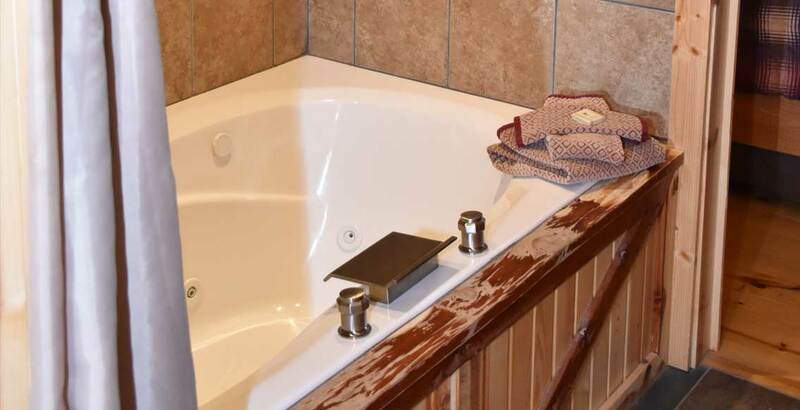 The bath suite features a jacuzzi for two. 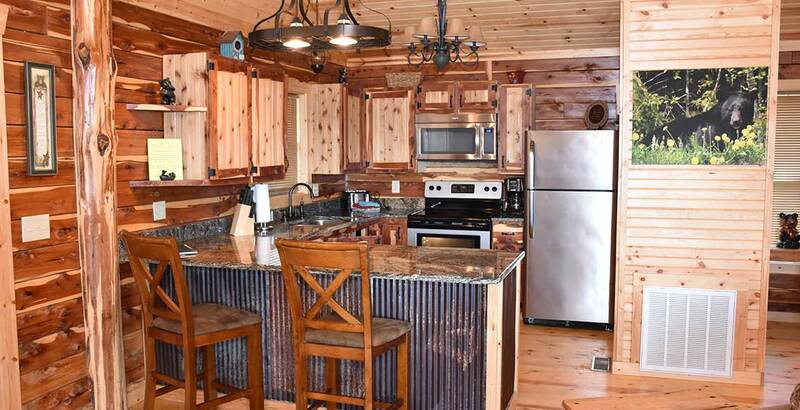 The beautiful fully stocked full kitchen has granite tops with all the luxuries of microwave and dishwasher. Enjoy your meals or drinks at the lovely bar. 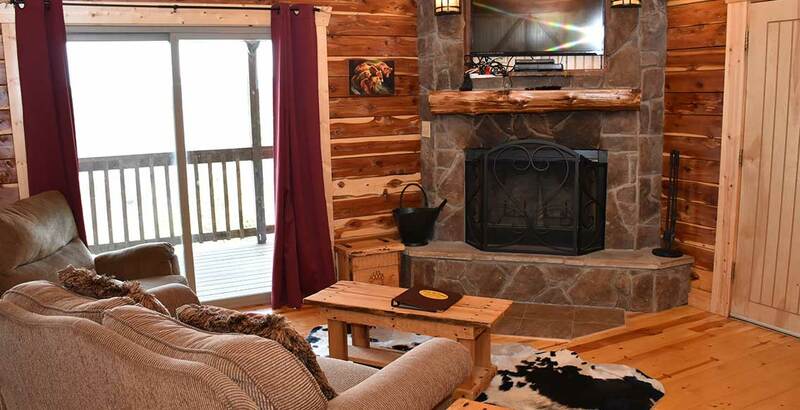 The living room is large and comfy providing a beautiful view of the valley 450 feet below as well as the rock wood burning fireplace. 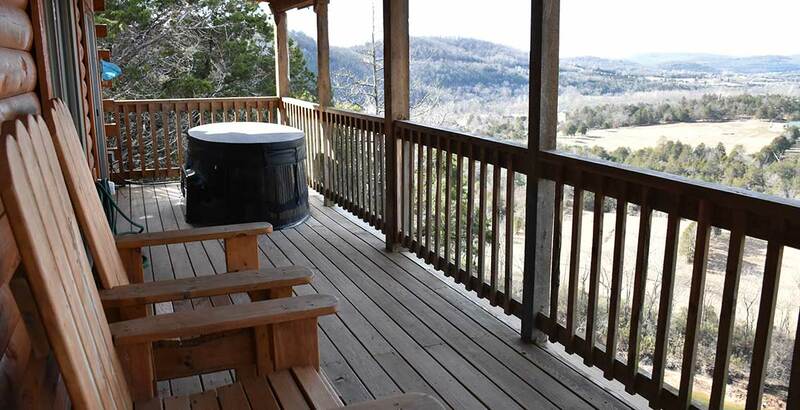 For the final touch, enjoy your personal outdoor hot tub for two as you soak in the view and incredible sunsets. 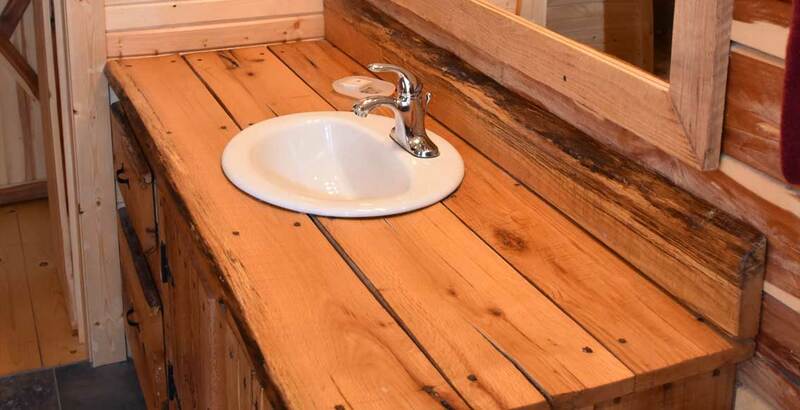 Our hot tubs are emptied and sanitized between each guest for your bathing pleasure.